The discovery came following a year-long study of skeletons found in a mass grave within the New Churchyard in August 2015, the burial ground excavated by Museum of London Archaeology (MOLA) during construction of the new Elizabeth line station at Liverpool Street in 2015. Date: Found in the 16th- to 17th-century mass grave at the New Churchyard. Health: Samples from the teeth of 20 individuals were tested for traces of the plague pathogen Yersinia pestis by the Max Planck Institute in Jena, Germany. This skeleton was one of five that tested positive. The teeth show some dental calculus and enamel hypoplasia, which can be a sign of stress. Overall, however, this had been a healthy person with no signs of any fractures. The study of infectious diseases, such as the Great Plague, is difficult in skeletal assemblages due to their acute nature which leaves no trace on the bones. However, recent developments in the analysis of ancient DNA (aDNA) have meant that it is now possible to test for and identify diseases such as Yersinia pestis, the plague pathogen. Furthermore, it is not only possible to identify if an individual had the disease but also, with genome level analysis, to look at the history and evolution of plague and infectious diseases in general. The analytical work done on the human remains has, therefore, not just informed about the history of the plague in London but will have far-reaching impact on international studies of plague and its developments in today’s world. The analysis requires relatively small samples of the teeth. With the current site, the analysis was undertaken using samples from the teeth of 20 individuals. This work was undertaken by the Max Planck Institute in Jena, Germany. The teeth can also be used for isotope analysis on the levels of strontium and oxygen. This can provide information on the geology and water local to an individual, indicating where they came from. Such analysis can potentially identify migrants within a burial population. Carbon and nitrogen isotopes can provide information on variations in diet, nutritional levels and indicators as to general health and stress. 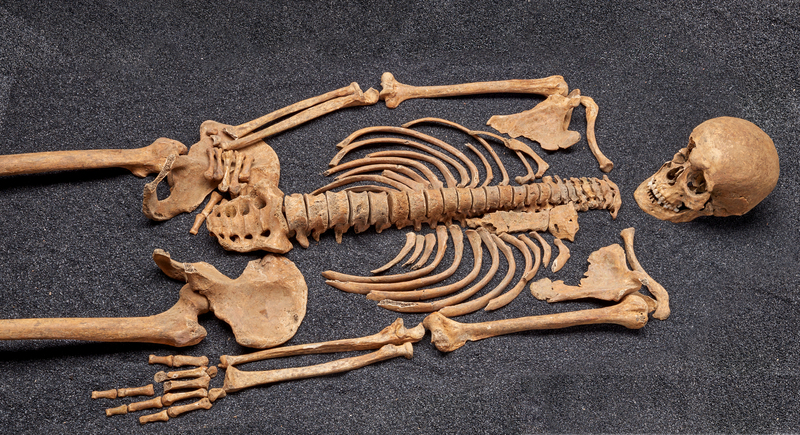 Scientific analysis of skeletons excavated as part of the Crossrail programme has identified the DNA of the bacteria responsible for the 1665 Great Plague. The discovery comes following a year-long study of skeletons found in a mass grave within the New Churchyard, the burial ground excavated by Museum of London Archaeology (MOLA) during construction of the new Elizabeth line station at Liverpool Street in 2015.